My friend Joe Donahue has written his first book and in order to build awareness he has allowed me to get an advanced reading of the book in order to do a review. Now I have to say that at first I was worried about doing a review for a friend but after reading the book my fears are allayed. 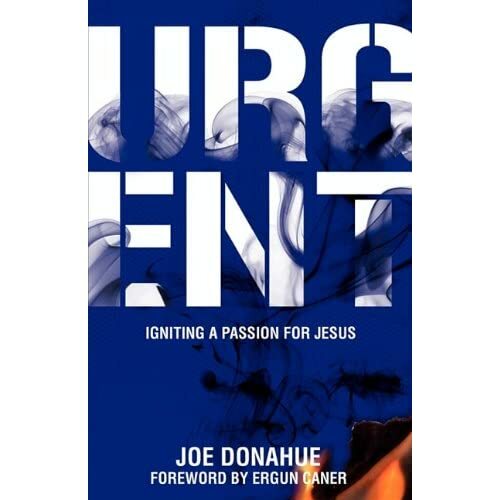 Urgent is an incredible story of Joe’s life and the torment that he went through as a child. The personal and detailed account of physical emotional and sexual abuse is terrifying but captivating. I was so drawn in to the story that I could not and did not put the book down until i finished the last page. Through highs an lows Joe weaves a tale of how God can reach those hurt and broken in our world and how God can do amazing things in your life. He calls us to develop a sense of urgency, not primarily for others, which is what I expected in reading a book by an evangelist but rather an urgency for GOD! With this urgency developed other areas will follow suit and soon we will have a sense of urgency to do and to see God’s Kingdom come. There is not a lot to criticize in this book as a matter of fact I can only come up with one shortcoming I saw and that is that it wasn’t enough. No, it made it’s point but I was so captivated by Joe’s story and the miracles of God in his life and the message that I was left wishing there was more and hated that it came to and end. I have already bought a copy of the book and highly recommend it to anyone. It will bless you, convict you and encourage you all at the same time. Previous The Book Is Not Closed!! !